Added by Center Spiritual E.
We host many classes and events going on throughout the year where like-minded people gather for spiritual book discussions, psychic development, concerts and dance performances, energy healing, devotional services and singing, and much more. Spiritualism is based on all the Natural Laws, and the more popularly known one is the Law of Attraction. 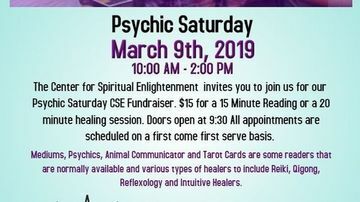 We have many discussions based on understanding reality and manifestation, but that is only the beginning..
We offer both paying and free events and they are listed on the Calendar and are open to all. 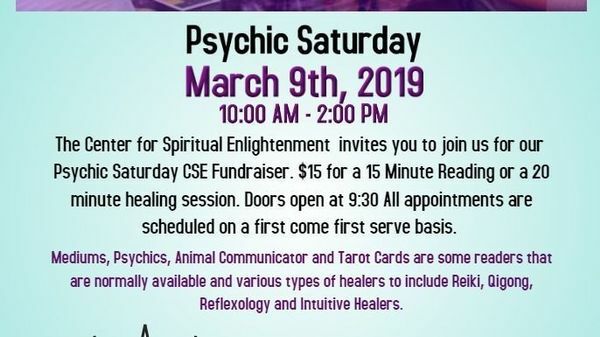 Events are held at the Center for Spiritual Enlightenment, 222 N. Washington Street, Falls Church, VA 22046. Free parking is available in the municipal lot behind the Beach Shack restaurant off Park Place. For more information, visit our website at www.thecse.org, and be sure to like us on Facebook. You can reach us by email at TheCSE.org@gmail.com or by calling (703) 645-8060 to leave a message. We look forward to meeting you!